This pair of children’s tallit katan is cute and fun to wear! 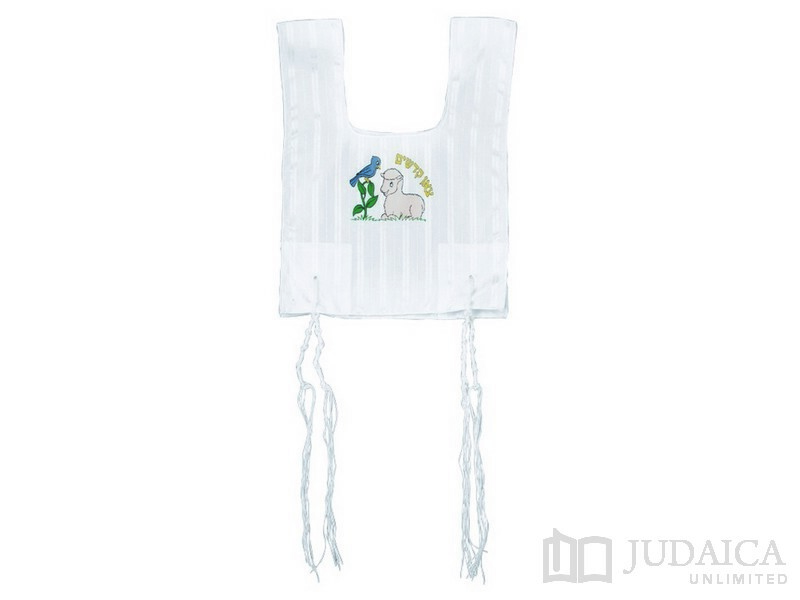 The tallit katan has a picture of a lamb with a bird on a vine. The hebrew words “tzon kedashim” – holy sheep – a traditional idiom for young Jewish children, completes this sweet and age appropriate theme. Made from a poly-cotton blend these tzitzit are wrinkle-free and easy to care for.